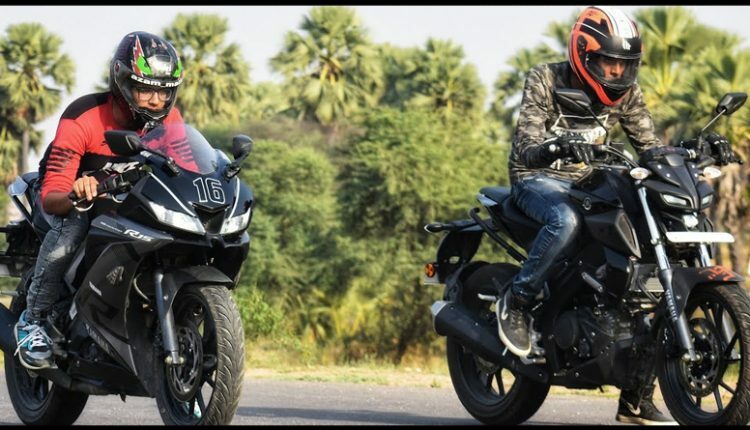 Yamaha R15 V3 vs Yamaha MT-15 (Drag Race Video): The drag race between Yamaha MT-15 and R15 V3 has brought impressive results for those who were confused between the selection process. The video clears that those who need a burst of acceleration can go for the streetfighter while fans travelling highway distances above 100 kph can go for the R15 V3. The aerodynamics instantly kick-in when the rider crosses 100 kph on the speedometer, leaving MT-15 struggling to achieve the top speed at the same pace as the R15 V3. The rider neatly gets behind the windscreen while the one on the MT-15 will need to add a visor to keep the winds away, that too not as effective as the sharp fairing of the R15 V3. The top speed for both the bikes will stay around 140 kph on the speedometer, with body weight playing an important role here. 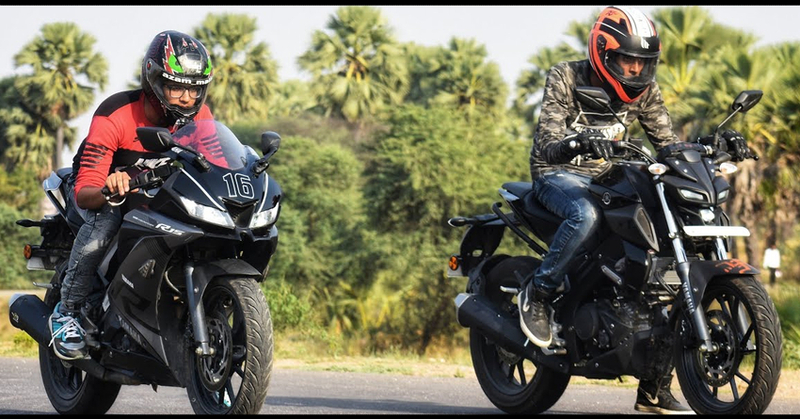 The MT-15 comes for INR 1.36 lakh while those considering Yamaha R15 will need to spend INR 1.40 lakh. The prices mentioned here are ex-showroom India.